Sincere thanks to Mel Rodgers and Alpine First Aid who generously donated to YANA through their MOMAR involvement. On Friday, Feb. 23, guests will fill the Florence Filberg Centre for fun, food, friendship and fundraising at the YANA 2018 Big Love Benefit. Among the highlights of this popular evening are a live auction led by iconic auctioneer, Dave Stevens, dinner by Tria Fine Catering, a photo presentation by McKinnon Photography, and dancing with Above and Beyond Entertainment. Raising funds has taken on a new urgency as YANA recently experienced its busiest year since its inception in 1986. Thirty-two years ago, founder Sandra Williams achieved her vision of establishing a support organization for families travelling outside the community for the medical care of a child or a pregnant mother. Her hope that no family would ever be alone in these circumstances has been carried by several decades of generosity. This past year YANA saw significant increases in out-of-town healthcare related to birth and high-risk pregnancy. This need, along with successful outreach, program development and continued support for children experiencing a range of medical challenges, has led to high program expenditures, up 21 per cent year over year with continued increases expected in 2018. Varney acknowledges that these increases create challenges but is confident the challenges will be met by thinking big. YANA’s purpose is to improve access to healthcare by providing travel funding and accommodation to Comox Valley families with a child or a pregnant mother needing medical care away from home. YANA maintains four furnished apartments near BC Children’s Hospital in Vancouver and also provides accommodation in Victoria, Nanaimo, and in other treatment locations. There are many ways to get involved in the YANA Big Love Benefit. You can donate an auction item, sponsor the event, or participate in the new online auction. For more information on all these opportunities, visit yanacomoxvalley.com, email events@yanacomoxvalley.com or call 250-871-0343. Interested in attending the Big Love Benefit? Tickets go on sale Sunday, Jan. 21 at 10 a.m. and are sold online. Tickets sell extremely fast. Mark your calendars, set your alarms and join YANA for this upcoming event. Sincere appreciation to Our Lady Sacred Heart Chapel for helping us support local children travelling for medical care. Thank you to the Campbell River NetLoft for their recent donation. Always lovely to receive help from the Glacier View Retirees. Thank you! Our thanks to Union Bay Church for their recent donation to YANA. The YANA Big Love Benefit will be held Friday, February 23rd, 2018 at the Florence Filberg in Courtenay, doors open 5:30pm. 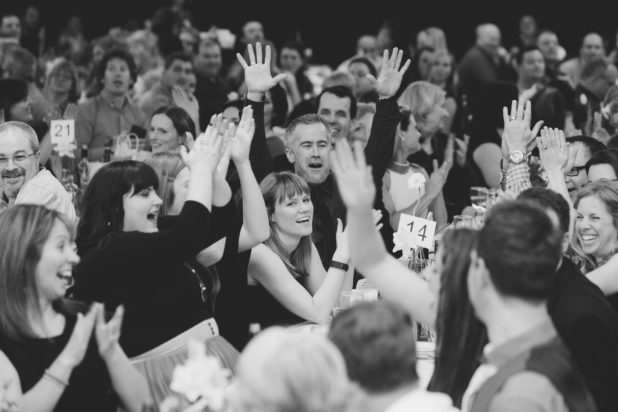 Our annual dinner and auction is full of fun, friends and fundraising and we hope you can join us. More information here. Tickets will be available online Sunday, January 21st at 10am. Tickets sell extremely fast. We recommend you bookmark the online ticket store website and regularly refresh your browser. Tickets will be sold individually and grouped into tables of 8. Eight is the maximum quantity allowed per transaction. A credit card is required for payment. Thank you for your interest in this event. Lucky winner of the YANA Christmas Crackers grand prize, Barb Newman, shows off her diamond ring donated by Mark the Gold Guy, appraised at $3,390 by Tim Haley at Simply Timeless. 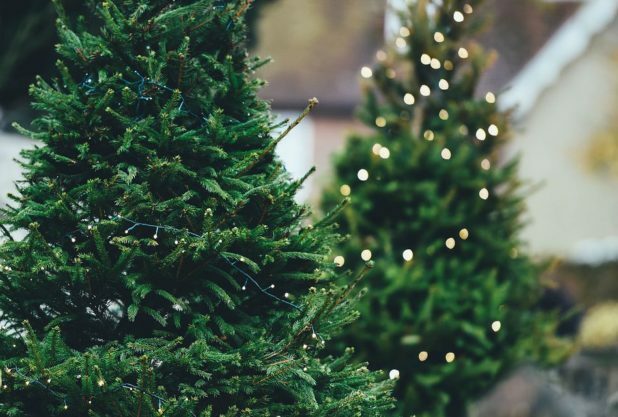 Residents of Comox looking to get rid of their old Christmas trees can head down to the fire hall this weekend. The fire service will be chipping trees on Saturday and Sunday from 10 a.m. to 4 p.m. All they’re asking for is a monetary donation, which will be going towards the You Are Not Alone (YANA) Fund Society. YANA is a community organization that offers help to Comox Valley families travelling for medical services for their children. For those who can’t get down to the hall in person, a tree pickup can be scheduled. Team donated gift cards, pre-made meals and baked foods. Families at Jeneece Place received a surprise over the weekend, when players from the Comox Valley Chiefs donated gift cards, food and homemade baked goods days before Christmas. 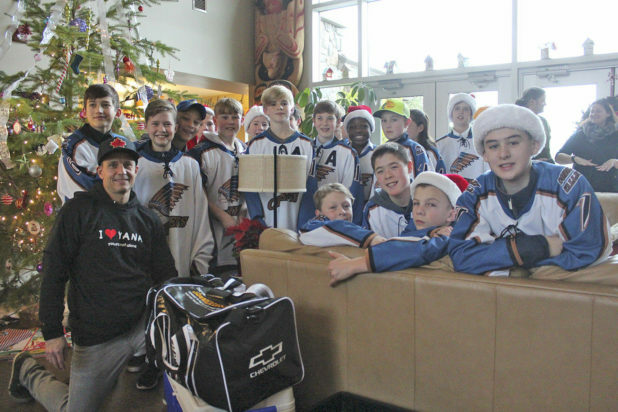 The team is participating in the Chevrolet Good Deeds Cup, a national contest put on by Chevrolet and Hockey Canada to challenge peewee teams to make an impact in their community. The winning team receives a ceremony in its hometown, practice with a hockey ambassador and $15,000 to be donated to their charity of choice. Through a bottle drive and other fundraisers, the Chiefs raised roughly $1,500 during the past month, which was donated to You Are Not Alone (YANA), which helps Comox Valley families that need to travel to access medical treatment for their children. The money was then used to purchase gift cards, pre-made meals, toiletries and video games, which were donated to families at Jeneece Place. 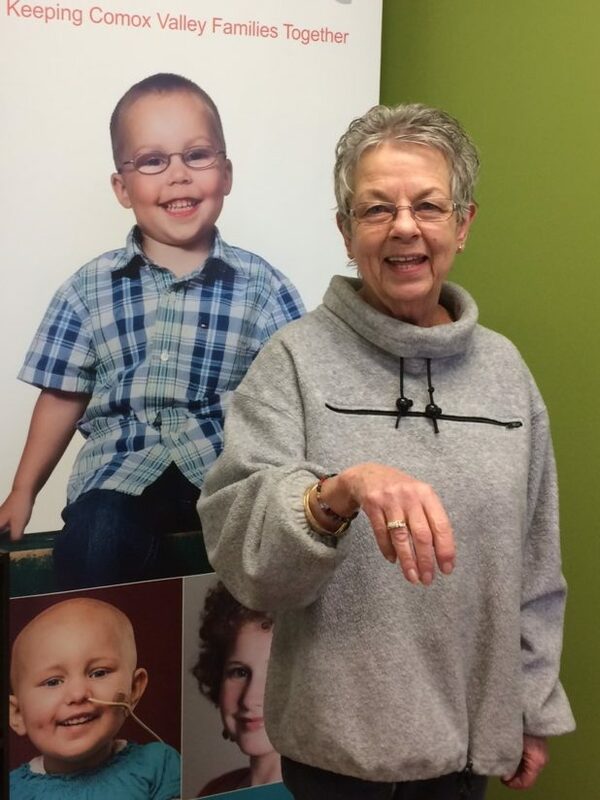 Kristina Maximick is one of 10 people who will benefit from the donation. The Comox Valley resident has been living at Jeneece Place for the past two months, after learning her babies are monoamniotic twins, a condition in which they share the same amniotic sac. However, their umbilical cords can get tangled, resulting in a high-risk pregnancy in which only 50 per cent of twins survive. Maximick gave birth to two healthy twin girls, but will continue to live at Jeneece Place for the foreseeable future. “It’s amazing. It’s a very thoughtful act of kindness and much appreciated because you don’t always have time to prepare things to eat,” Maximick said of the donation. Her son, Walker, also played with the Chiefs two years ago. For the players involved, the initiative has left a lasting impression. “It made me feel great because I really like giving to other people,” said 11-year-old forward Morgan Jackson. The team will be submitting a one-minute video to Hockey Canada for the Good Deeds Cup by Dec. 31. The winner will be selected in the new year.